I have just returned from the idyllic location of Trigonos in North Wales, where I attended a Mindful Self compassion course(MSC). The course was ran by The centre for Mindfulness research Bangor University. A five day intensive retreat training course devised by Kristin Neff and Chris Germer. We were skilfully eased into some beautiful practices, 23 in total over the five days, by Vanessa Hope and Colette Power, amazing teachers! I love Self compassion and the practices, as it embeds for me the saying, “you can not give from an empty cup” So on my return I feel my cup is spilling over. I felt it was a privilege to be able to attend this intensive course, and it makes me feel even stronger about my wish to share mindfulness and Self compassion with everyone, particularly people who may not seek out theses practices for what ever reasons. I’m not falling for it this year! 36 years on the planet in this life time tells me that the striking of the clock at 12 midnight marking the ending of 2017 and the beginning of 2018 won’t change Jack! Or me! Or you! Everyday is the day to live our intentions. Stand up for want we believe. Do what we love! Be the change! Everyday! This ‘New Year, New Me’ hype has become as commercialised as Christmas. Just another opportunity for the capitalist marketing brigade to point out “You’re not really worth it, but let’s pretend you are so you buy our products”. “You aren’t good enough, but buy this while you keep trying.”. Over the years I have dabbled in various self-care techniques, attended mindfulness sessions, and tried a handful of therapeutic styles. It has only been recently however, that I have engaged in the practice of mindful art. After completing my MA degree in September, I began to feel myself slowly submerging into the realm of post university blues and uncertainty. Finishing university can sometimes feel like you have been plunged head first into the wider world, removed from the cosy bubble of your academic studies, as the fears and apprehensions come flooding in. I began questioning and criticising myself, bundling on heaps of pressure to feel an instant sense of clarity and accomplishment with my career path. To expect people to know what they want from life is an enormous pressure, but in our modern day society this question is repeatedly demanded of young people. After being in education since the age of four or five, for many it can feel incredibly daunting, disheartening, and just plain confusing, to begin taking the next steps. After finding my own sense of wellbeing was becoming increasingly challenged, paired with a desire to find an area of work which would enable me to incorporate my creativity, love of writing, and dedication to helping others, I discovered The Owl and the Coconut. After meeting with the director for a chat, I started volunteering for the organisation as a proof-reader and assisting with the promotion of their events. As I am relatively new to the practice of mindful art, I have been making my way through the organisation’s 30 Days of Free Mindful Art programme on their YouTube channel. Having found the videos immensely beneficial, the director invited me to contribute a blog post to share the insights that I have gained. On day one Gemma discusses how creating intentions differs from setting goals, explaining how intentions focus on various qualities and ways of thinking that we can incorporate into our lives as part of an ongoing process. I am someone who is constantly on the go and I have noticed that particularly after the intensity of my studies, I struggle to chill out and allow myself the time to check in with my body and just be. My intentions were therefore centred on learning how to relax and allow myself time for self-care and compassion. I watched these videos whilst ill in bed, stressed out that I couldn’t do all of the things that I usually do, struggling to be able to take the time out, even when my body needed it. These videos reminded me to allow myself that time for self-care, to take a step back and listen to my body, recognising when I needed to relax and give myself a break. I found a ‘Sew Your Own Owl’ in my sewing box, which I thought would make a perfect mascot for the start of my mindfulness journey with The Owl and The Coconut, and I have used it to stick my intentions to. The process of making my owl, helped me to ground my intentions, crafting something and taking the time to be in the moment of creativity. I have hung it on the back of my wardrobe door where I can see it everyday, to remind myself of the steps that I want to take to improve my wellbeing and self care. While setting intentions has helped me to focus on some of the things that I would like for myself, it has also allowed me to reflect on the impact that I would like to have on the people around me. I firmly believe that making the world a better place can be achieved through acts of kindness and compassion to others. As Gemma puts it beautifully, when you care for yourself, you become better able to care for others. By becoming more invested in the here and now, the ebb and flow of the world and our day to day surroundings, mindful practice aims to minimise stress and optimise positive mental wellbeing. Often however, this is far more easily said than done. I have previously practised mindfulness in the form of meditation, breathing practices, and guided CDs but I have often found it quite difficult to reach a state of calm in these ways. In the past I have found that yoga has worked for me, as I find it helpful to combine movement with meditation, tuning in to how my body feels in various positions, allowing myself to take a break from busy, distracting thoughts and acknowledging them calmly if they do come. I really connected with Sherelle’s comment about how art provides a similar means for her. I found that having a creative activity to engage in, allowed me to zone in with what my hands were doing, slowing myself down and taking the time to just be in the moment. I loved drawing out my breath, as demonstrated by Gemma on day 8. I found that this really helped me to visualise my body’s movements and check in with myself. I noticed how it slowed and became steadily more relaxed as I continued to draw it onto the page. In the video from day 3, Gemma uses water to paint onto paper, to feel the water and see its affects, how it changes and fades. As the videos from the program emphasise, mindfulness can be practiced anywhere and everywhere with the tools that you have available. I used the nearest liquid that I had at the time which turned out to be half a mug of cold coffee! Whilst I am a big lover of coffee, it nevertheless holds associations with the business of life, often functioning as a source of fuel for a chaotic, action packed day, pushing me to do things that are perhaps beyond what my body and mind sometimes should be doing! I found that using the coffee in such a calm scenario, however, was a fantastic experience. The smell, sight and meaning of the coffee began to change, soaking into the paper to become just a brown stain fading across the page. I drew my breath lines over the top of the coffee stained paper and it felt great to see the shape of my breathing traced out over this background. This process helped me to create a visual reminder of the importance of finding the time to slow down and breath, even though the flurry of daily life. Being an art lover, I was eager to get stuck in with the various activities demonstrated in the videos but as I began the first doodling practice, I found that it was a big struggle not to pre-plan and to just let go and draw! I found Gemma’s comment about art not needing to be perfect, really useful. I have always loved sewing and knitting, and I find knitting to be a really useful way to relax and unwind (no pun intended). By paying attention to each stitch, the movement of your hands, the sound of the needles, and the feel of the wool on your fingers, knitting can be a really great way of creating focus and practising mindful techniques. I knitted myself a scarf last winter which was brilliant as it didn’t involve too much technicality, meaning that I could pick it up whenever I felt like it. When I finished my scarf, however, I remember feeling a little disappointed as one end was significantly wider than the other. Looking at it now, after watching the mindful art videos, I have been taking the time to notice the changes in size, thinking about how the tighter stitches may have reflected the times when I was knitting with more concentration and vigilance, while the loser stitches were perhaps created when I was more laid back, watching TV with my friends. Reflecting on these differences and accepting and embracing them, not as imperfections but as part of life, has been a really valuable experience for me. Now, when I step outside in my scarf each morning, I feel happy in the knowledge that whilst it may not have wound up perfect, consistent and predictable, neither does life, and that’s something that I’m learning more and more to be OK with! We would really love to hear your comments about this blog post and your experiences of working through the mindful art on our 30 Days of Free Mindful Art YouTube project! You can also join us at our weekly mindful art sessions in Manchester, Tuesdays 5-6pm at Nexus Art Cafe click here to book. I have had no mobile phone for over a week now! And I’ve learnt some stuff I thought I’d share! There once was a baby coconut, who fell from the tree. An owl looked on content as can be. Coconut rolled into a stream. All became blurry, was it a dream? 30 Days of Free Mindful Art! Join us for 30 Days of Free Mindful Art. Day 1! 30 Days of Free Mindfulness! Intentions. The theme today is ‘Intentions’. Intentions are different to goals as goals tend to be more action focused. Intentions are linked to our life values, what is important to us, how we want to be. ‘Kind’, ‘compassionate’, ‘living in the moment’, that sort of thing. In this session we set intentions and invite you to set your own intentions, for the 30 days of Mindfulness. Please do tell us your intentions and share your images with us by using the hashtag #stopnoticecreate on twitter, on instagram and facebook. We also take you on a guided mindful meditation and invite you to create an image expressing anything you noticed in the mindful meditation. We really would love to see your images and hear your intentions! Day 2! 30 Days of Free Mindful Art! Hopes, experiences and challenges of Mindful Art. Sherelle talks about being new to Mindfulness. Setting her intentions for the 30 days. The challenges of Mindful Art she faces and her experience so far! What is your experience of Mindfulness? Are you new to mindfulness? What challenges in your mindful practice do you find? Let’s see if we can help! How would you rate your current wellbeing? 0-10? What are your intentions for these 30 Days of Mindfulness? Today we look at the mindful theme of ‘impermanence’ and play with water! Grab a piece of any old paper, a bit of water and some essential oils if you have some, no worries if not. Impermanence is all about being OK with the fact that pretty much everything in life changes. Just like the art work we make in this video, it drys and changes. It is out of our control and that is OK.
Day 4! 30 Days of Free Mindful Art! Today we talk about the 7 Pillars of Mindfulness; Non-judging, Patience, Beginner’s Mind, Trust, Non-striving, Acceptance, Letting Go. We use a heart breathing meditation to send thoughts and love to all those who need it, thinking especially of all the people involved in the devastating Grenfell Tower fire. Day 5! 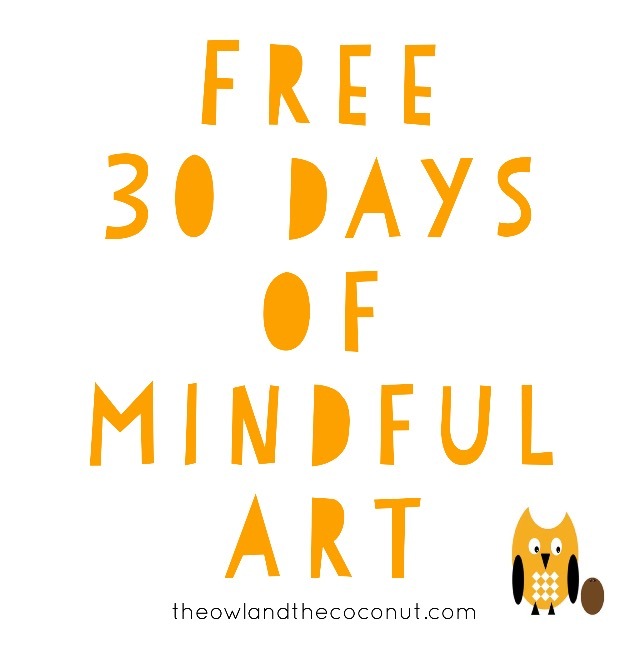 30 Days of Free Mindful Art! Marbling using the Mindful Pillars of Beginners Mind. Using marbling inks is so much fun as you never really know what’s going to happen! If you have some marbling inks and join us in making images, then please do send us your pic’s! Use the #stopnoticecreate, we can’t wait to see them! Or sit back and enjoy watching us play! Day 6! 30 Days of Free Mindful Art! 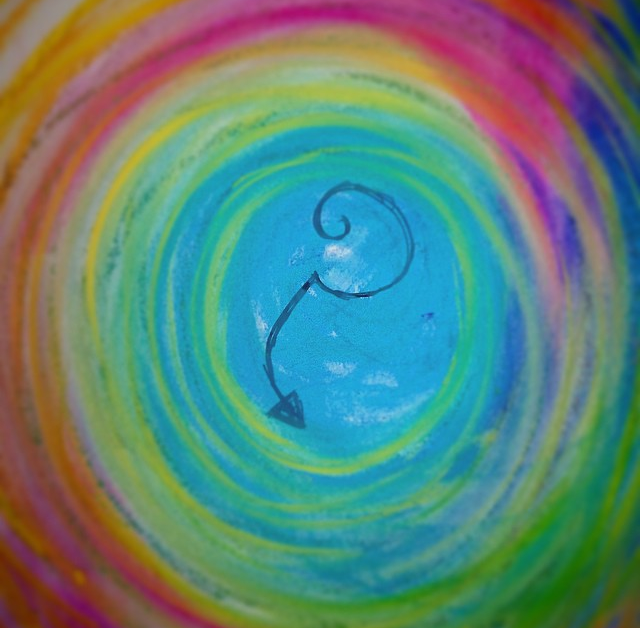 Join Sherelle and friends, to create some Mindful Doodles. They will be using fabric and felt tip pens but feel free to use whatever you have to hand, or sit back and enjoy. Free 30 Days of Mindful Art! We are delighted to share our 30 Days of Mindful Art with you for free! This programme will be a step by step online guide to creating mindful art. In which we will share a wide range of tools including guided meditations and chats about the theory behind mindfulness and art therapy. 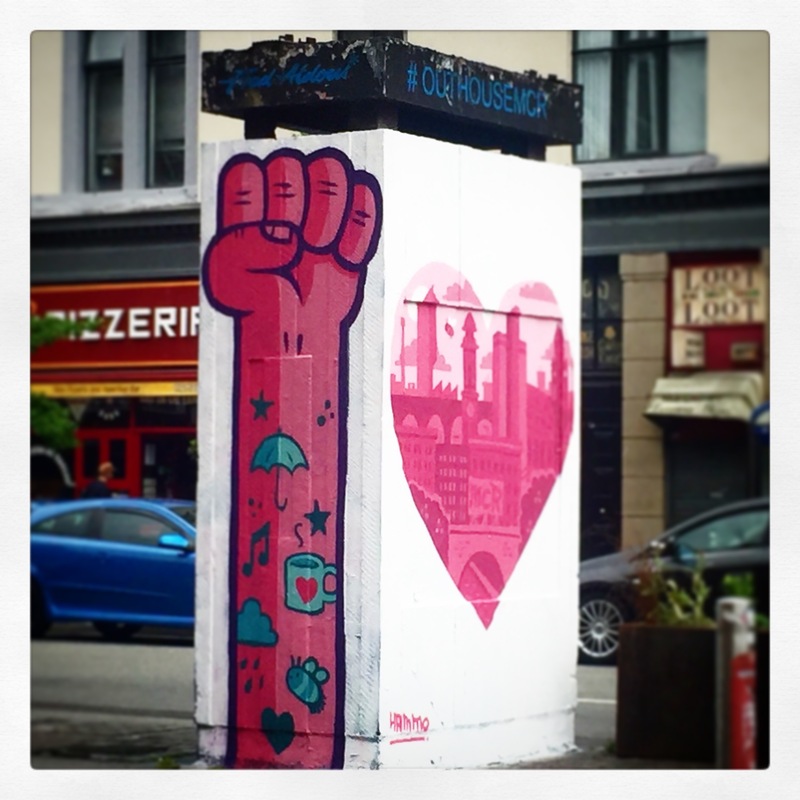 How can we change the world? And where does Mindful Art fit in?